Hello! 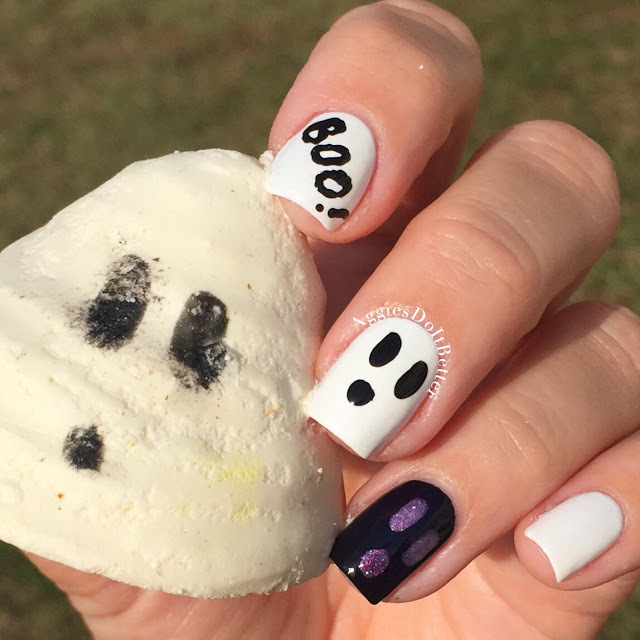 Boo! haha. Today I have the Boo bath melt from Lush. This was my first time using a bath melt! I read mixed reviews on them because while they moisturize your skin, they can make your tub a slippery "death trap" one person said. That made me laugh! I'm clumsy enough as it so I don't need any help in that department. So this Boo melt is my guinea pig and will help me decide if I ever buy any again! Obviously I knew this would be cute for matching nail art! I used ole' reliable OPI Black Onyx and Alpine Snow. The glitter is International Crime Caper, which showed up fairly well over the black! This was also super hard to hold while taking pictures outside, it was warm this day! I felt like it was melting in my hands and getting harder and harder to hold with every second. Note to self, put the next one in the freezer first! In the video there's a clip of how I cut it up, I think it is intended to be used all at once, but I wasn't taking any chances. I cut it into 4 parts and just used that little bit. 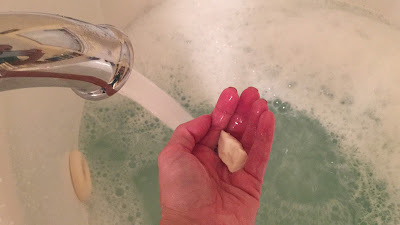 I did use a bubble bar also (the Green macaroon, coming soon here!) The Boo is supposed to create some bubbles on its own, but since I used the Green bubbleroon first it's hard to tell which bubbles came from which. I just hold the cut piece of the melt in my hand and make a loose fist, then let the water run through my hands until it's mostly dissolved. As for the scent, I feel like it didn't really smell like anything. Cocoa Butter is a fairly neutral smell when it doesn't have any perfumes added to it. It does have some other oils in it but none stood out to me. This won't clash with any other bath products! Check out the little video for a little cutting action! Poor little guy! 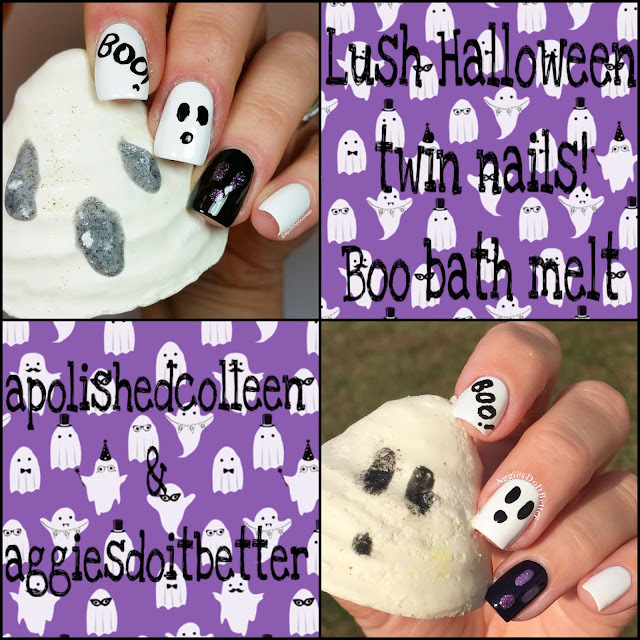 ALSO.... my fellow nailie friend Colleen and I thought it would be fun to do a matching mani to some of our new Lush goodies! I haven't done a matching mani with someone in forever! It was fun!